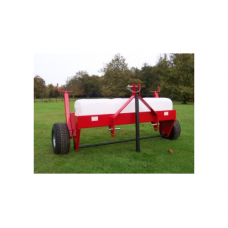 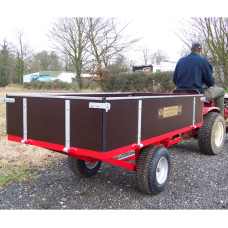 A good and strongly constructed timber bodied trailer. 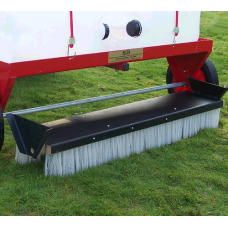 Tailgate is removable for tipping. 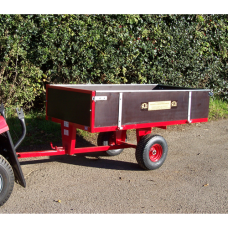 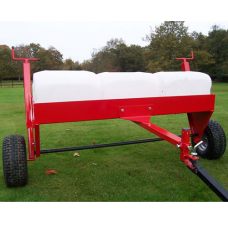 Sides are ..
A two wheeled, timber bodied, tipping trailer with 760kg (15 cwt) carrying capacity. 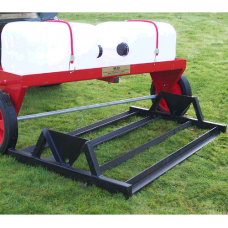 Tailgate and si.. 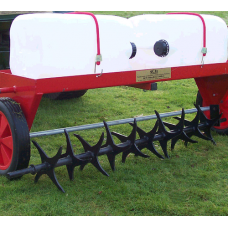 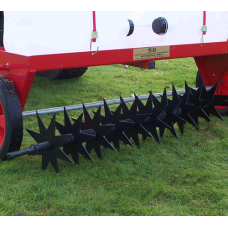 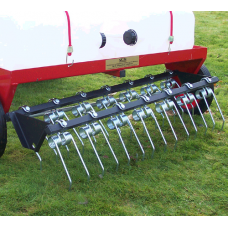 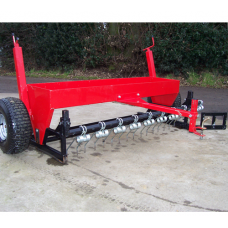 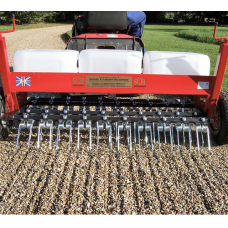 The standard 1220mm width chain harrow mounted on a frame which incorporates category 1 three point .. 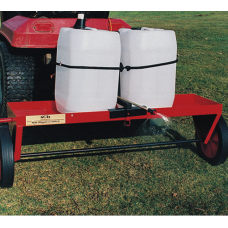 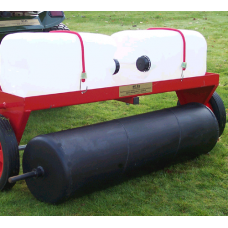 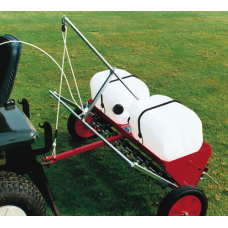 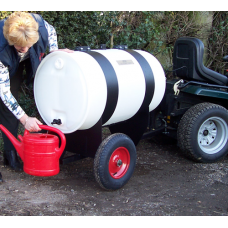 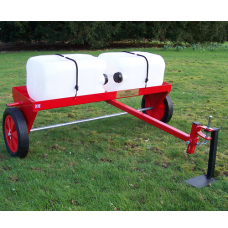 This useful small water tanker is ideal for watering trees, shrubs and plants in dry weather. 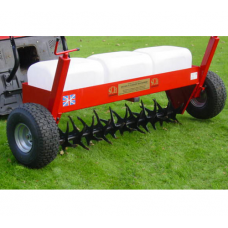 The t..
To use this heavy duty 36 inch working width firming roller attachment, the SCH 40 inch Grass Care S.. 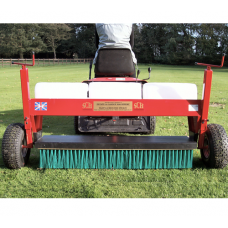 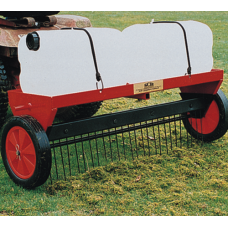 This is the carrier frame/basic unit (to which various grass care tools can be attached) for the SCH..
To use this heavy duty 40 inch working width aerator attachment, the SCH 40 inch Grass Care System -..
To use this heavy duty 40 inch working width brush attachment, the SCH 40 inch Grass Care System - H..
To use this heavy duty carrier frame lifter, the SCH 40 inch Grass Care System - Heavy Duty Carrier ..
To use this heavy duty 40 inch working width dethatcher attachment, the SCH 40 inch Grass Care Syste..
To use this heavy duty 40 inch working width lute attachment, the SCH 40 inch Grass Care System - He..
To use this heavy duty 40 inch working width moss rake attachment, the SCH 40 inch Grass Care System..
To use this heavy duty 40 inch working width slitter attachment, the SCH 40 inch Grass Care System -..
To use this power sprayer attachment, the SCH 40 inch Grass Care System - Heavy Duty Carrier Frame (..
To use this 48 inch working width aerator attachment, the SCH 48 inch Grass Care System - Carrier Fr..
To use this 48 inch working width area maintenance attachment, the SCH 48 inch Grass Care System - C..
To use this 48 inch working width brush attachment, the SCH 48 inch Grass Care System - Carrier Fram..
To use this 48 inch working width dethatcher attachment, the SCH 48 inch Grass Care System - Carrier.. 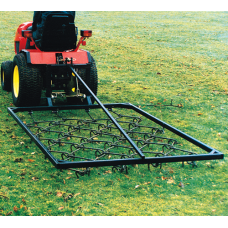 This system has evolved due to the popularity of the 40" and P3 grass care systems.The demand to pro..